At MidMichigan OB/GYN, we take pride in how we take care of our patients. Our office has been providing Obstetric and Gynecological care to Midland and surrounding communities for over 20 years. Our experienced providers have a reputation for providing compassionate and comprehensive care to women of all ages. We provide the latest in health care technology, including in-office surgeries, with the comfort of anesthesia. Our patients are highly valued and our staff is committed to providing you with the best care possible. Problem periods are not something you have to live with! Today, there are a number of effective treatment options available. NovaSure is for women who do not wish to have children in the future. If your doctor recommends hysterectomy, you may be a candidate for an innovative, less invasive surgical procedure called da Vinci Hysterectomy. This procedure uses a state-of-the-art surgical system designed to help your doctor perform the most precise and least invasive hysterectomy available today. Care provided by a midwife allows our expecting mothers to experience the closest home birthing experience possible while in a hospital setting. Expecting mothers have the option to pick… having a midwife allows mothers to have a more natural non-interventional personal experience starting from prenatal care throughout delivery. Our Midwives are non-interventional, they do not do home deliveries or water births. I had Novasure Ablation just over a year ago by Dr. Charles Werner. The procedure was performed right in his office. 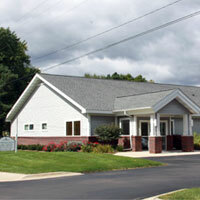 Scheduling was fast and easy and Dr. Werner’s staff is very friendly and helpful. The procedure itself was quick with little to no pain. Now I have no worries every month about the interruption of my tennis game or going on vacation! – Jill B.
I have had the privilege of being a patient at MidMichigan OB/GYN since the pregnancy and delivery of my first son in 2009 and subsequently my second son in 2011. Words cannot express my gratitude for the compassionate quality of care I received from the professionals in this practice. From the smiling faces when you arrive to the support and expertise of the medical team, make this practice exceptional in my book. I am forever thankful to the entire staff and especially the midwives Lynda Varner and Denise Meeks who guided me through my pregnancy, labor and delivery for both of my children. I am blessed to have them in my life for these miracles and all my continued care.